We really enjoyed our stay. 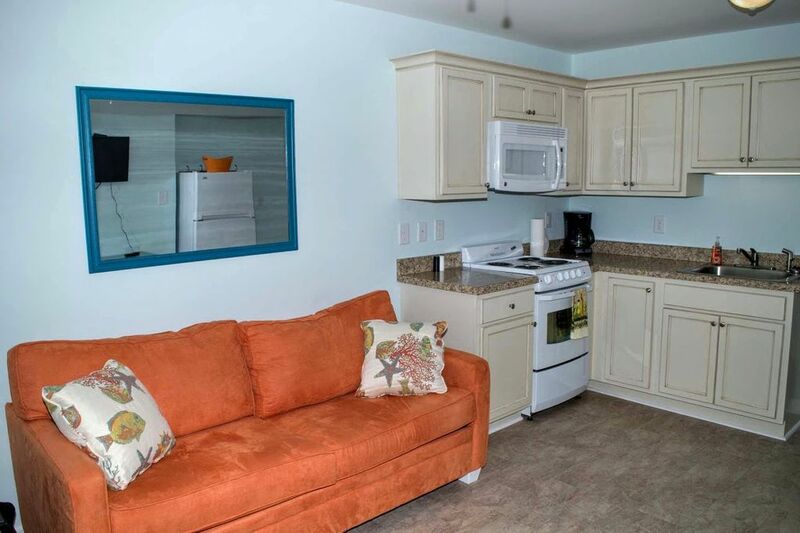 Nice, clean, and well equipped and only steps from the beach. Our only issue was the lack of wifi. We knew going in that this property did not provide wifi, but it did prove to be inconvenient. Just a suggestion to improve the experience. We had a great family vacation. The pool was clean and, very few people were ever there. The beach access was amazing. There hardly was anyone on the beach in the morning hours. The rental was clean, and well maintained. My only suggestion would be a new bed. The bed wasn't very comfortable. We will definitely be coming back to Atlantic Beach! It was just me and my husband and it was the perfect size. Loved that it was right on the beach!! Short drive, or walk, to almost anything. Enjoyable three day stay. Our 22 year old grandson really had a great time!